Albion have taken 13 points from the last 18 available, a record that is bettered only by Chelsea who have taken all 18. Meanwhile, Manchester United are on a seven match unbeaten run in the Premier League and have taken 12 points from the last six games including winning their last two away at Crystal Palace and at home to Tottenham. Jose Mourinho will be managing at the Hawthorns for the fifth time, and all four of his visits so far have been against different Baggies managers. His first visit in 2004 was the first match after the sacking of Gary Megson when Frank Burrows was in caretaker charge at the Hawthorns, and the following season Bryan Robson was at the helm. Mourinho’s Chelsea won both of those games, but when the Portuguese returned for his second spell in charge at Stamford Bridge, he failed to get a win in his two trips to the Hawthorns. In 2014, a late equaliser from Victor Anichebe rescued a point for Pepe Mel’s Albion, while on his last visit in May 2015, Chelsea were already champions but went down 3-0 to a Baggies side now managed by Tony Pulis. This will be Tony Pulis’s third home game against a Jose Mourinho side and he has won the other two having also managed Crystal Palace to a 1-0 win over Mourinho’s Chelsea in 2014. Mourinho did win their only meeting at Stamford Bridge as Chelsea beat Palace 2-1 in 2013. Back in the summer, the resumption of the Mourinho v Guardiola battle was one of the most talked about aspects of the new Premier League season, particularly given that both would be in the same city, but neither manager has found it easy and the two Manchester clubs currently lie in fourth and sixth in the table. The Manchester derby in September, won by City at Old Trafford, has not proved to be as crucial as thought as City have fallen away after a remarkable start and United have started to recover. United have not lost a Premier League game since they went down 4-0 at league leaders, Chelsea, in October although Mourinho will not be satisfied with having drawn four of the seven games in that period including home draws with Burnley and West Ham. They have won their last two, however, and will visit the Hawthorns full of confidence. For many Baggies fans, it will be a first chance to see a real superstar of the world game play in the flesh. I have seen Zlatan Ibrahimović play for Sweden against England in Euro 2012, and was “lucky” enough to see him score four at the Friends Arena in Stockholm in November 2012 including that 30-yard overhead kick. Many thought he was starting to wind down his career even then, but he is still looking as fit as ever at the age of 35 having played every minute of every Premier League game for United, other than the match against Arsenal when he was suspended. He has also scored eight goals in his last eight games for United in all competitions, having only scored one in his previous eleven. We will also get the chance to see the world’s most expensive footballer in Paul Pogba. The 23-year-old Frenchman hasn’t really lived up to his transfer fee so far, although Mourinho seems to have tweaked the midfield in recent weeks in an attempt to get the best out of Pogba, and there have been signs of the player that we all thought he was. With Herrera and Carrick acting as a shield for the back four, Pogba has been given the freedom to really impact the game resulting in three assists and a goal in his last five games and four man-of-the-match awards in his last six according to whoscored.com. There is no doubt that United are a good team, but their results aren’t as good as they should be, and Albion can move to within a point of the men from Old Trafford with a victory on Saturday. Four wins in the last six have propelled the Baggies up the table scoring 13 goals in the process, a total bettered only by Liverpool, Arsenal and (believe it or not) Crystal Palace. 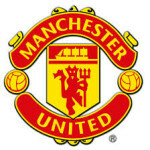 United, on the other hand, have scored just nine in their last six despite having far more shots and far more possession that the Baggies – despite the quality of forward players in the United side, Albion have been more clinical. The stats bear it out in that United’s shot conversion rate this season is 8.4% with Albion up at 13.1%. On Wednesday, Salomón Rondón scored three goals from six attempts against Swansea, becoming only the second player to score a hat-trick with his head in the Premier League with Duncan Ferguson having also achieved the feat for Everton against Bolton Wanderers in December 1997. The Venezuelan also scored the only goal of the game when United visited the Hawthorns last season, Albion’s last win of the season way back in March. That is Albion’s only home win over the Red Devils in the Premier League, with their previous home league victory coming back in 1984 when Steve MacKenzie and Cyrille Regis found the net in a 2-0 win. Albion did win by the same scoreline in a League Cup tie in 2003, with goals from Bernt Haas and Scott Dobie, a match in which Baggies fans got their first glance of another great of the modern game, Cristiano Ronaldo, and I’m not sure many in attendance would’ve predicted a glittering career based on his performance at the Hawthorns that night. December has never been a great month for the Baggies, with lots of fixtures in a short period of time often testing what has usually been a squad short on depth. In fact, despite there often being as many as six fixtures in the final month of the year, Albion have never managed to win more than two games in the Premier League in December. Having won two of the first three this time around, Albion have a chance to better that record although with trips to Arsenal and Southampton after this visit of United, it won’t be easy. It would be a great result if Albion could make it four home wins in succession, something they haven’t managed since they won their first four home games of the season under Steve Clarke in 2012. It would secure Albion’s spot in 7th for Christmas, which would certainly be better than any Albion fan would have predicted at the start of the season. But United under Mourinho are difficult to beat, and I think this will finish all square.